The combination screw extractors and drill bits in this 10 piece set are made in Spain and backed by Gray Tools worry-free lifetime warranty. 5 cobalt high-speed m35 steel jobber drill bits 5/64" - 9/32". 6 Left hand spiral tapered flute extractors EX1-EX5. 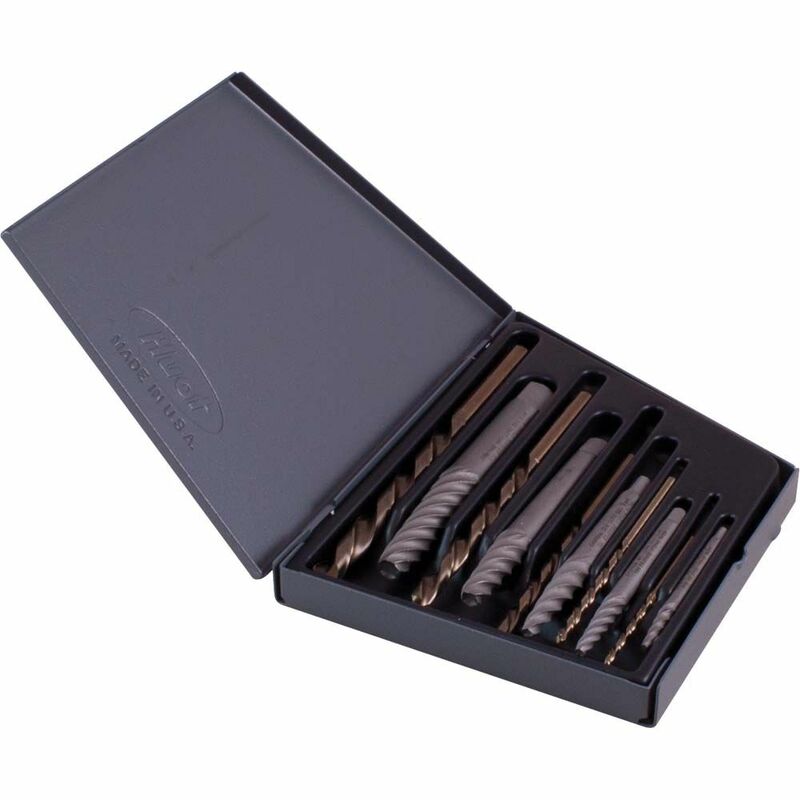 10 Piece Screw Extractor/Drill Bit Set The combination screw extractors and drill bits in this 10 piece set are made in Spain and backed by Gray Tools worry-free lifetime warranty.